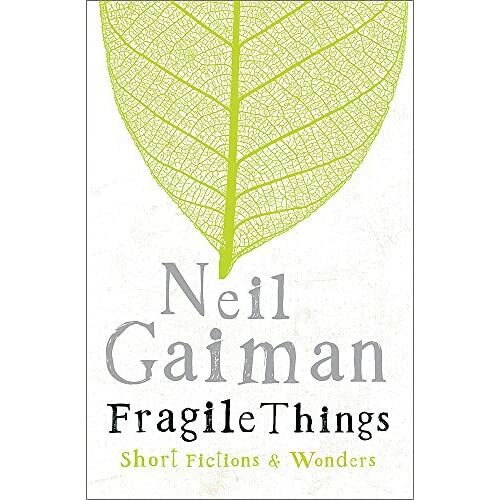 All 31 stories (and the introduction) of FRAGILE THINGS are now recorded, and I can get back to catching up on things I have to write, instead of sitting in a studio and reading my stories, vaguely aware that my accent doesn't belong to anywhere any more. Hello Neil,I hope you are well. I've just been introduced to "American Gods" by Thea Gilmore's track on your recent CD and thought I ought to find out more about you. I'm a very big supporter of Thea's work and wanted to see/read what you were all about. Well, the story is excellent but is keeping me up until 3/4 in the morning so reaching the end will find me returning to more normal hours.However, as any English chap will know a proper Cornish pasty is made from meat, onions, salt , pepper and SWEDE (not carrot)....shame on you, ha!ha! Or was it that your Amercan audience wouldn't know what a swede was. After all it's cattle feed really. Sorry to be pedantic but......who cares!!!! Ho, hum..... nice to write to you and I look forward to reading all your other work as I like your style.Kind regards from Roger in Cambridge, UK. I'm not sure whether or not I'd actually figured out that what the English call swede is more or less what the Americans call rutabaga when I wrote American Gods. And in the UP you can often get pasties with or without rutabagas. Alas, I never mentioned them. But if I had, you'd still be writing and telling me that they ought to have swede in. So I think we've both learned something.